ProTrax Tough Gear is designed for soft/intermediate terrain. 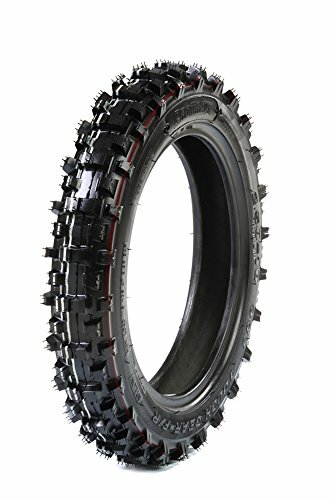 These tires are designed to balance between maximizing traction and maintaining durability on your mini or mid-size dirt bike. The stiff 4 ply construction resists punctures and the knob spacing lessons the buildup of mud.